The meaning of the word “home” is deeply personal. Its definition varies based on one’s relationship to it. For some, home is the place we can always return to, while for others it’s something we are looking to find. It can stir up feelings of security and safety, or trigger memories of trauma and pain. However we each choose to define it, the concept of “home” has a profound impact on each of our lives. 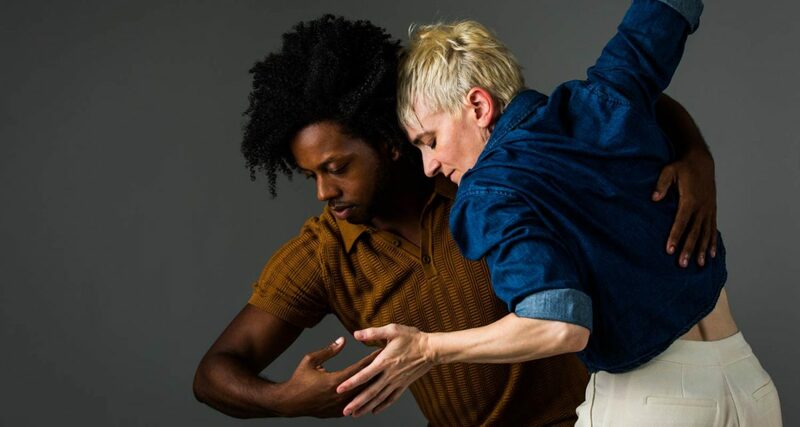 Gibney Dance Company’s HOME program features two world premieres that explore the many nuanced layers of this universal theme: Adam Barruch’s Imprint Ghosts, and Shamel Pitts and Deville Cohen’s Menagerie. Join us for a special pre-show reception on opening night to meet the artists and toast to GDC’s Fall Season! Meet and hear from GDC Founder & CEO Gina Gibney, 2018 Princess Grace Award Winner Shamel Pitts, and acclaimed choreographer Adam Barruch, and enjoy the first look at Pitts and Barruch’s world premieres during the opening night of HOME. Top off your evening by celebrating with GDC’s Co-Directors, Artistic Associates, and all collaborating artists! Refreshments will be served. $50 ticket includes exclusive pre-show reception, GDC performance, and post-show celebration. Want to learn more about Shamel Pitts’ Menagerie? Artis presents a performance preview and discussion with Deville Cohen and Shamel Pitts and moderated by Ali Rosa-Salas on Wednesday, November 7 at 6:30 pm. Free and open to the public. RSVP here. Imprint Ghosts explores the energetic echoes of time and emotion that remain in a physical space long after they occur. As we navigate through these familiar spaces we find ourselves not only reacting to our immediate lives, but also navigating through a field of the unfamiliar past. The word “menagerie” derives from the French word “menage,” defined as a strange or diverse collection of people or things in a household unit. Menagerie is a co-creation with choreographer Shamel Pitts and visual artist/director Deville Cohen. This new work will explore the quixotic individuality of each of the six dancers of Gibney Dance Company. Taking cues from Tennessee Williams’ The Glass Menagerie, Pitts and Cohen will exaggerate the performers’ differences by researching movement that amplifies their sense of self, and then resurface the possibility of a space where each of them can live and thrive inside of a given collection of objects and environments, while negotiating their individuality. Menagerie has received generous support from The Artis Grant Program. 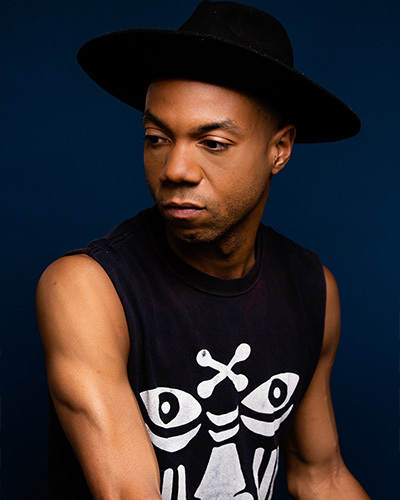 Shamel Pitts is a 2018 Princess Grace Choreography Fellowship Award winner for the creation of Menagerie. Learn what HOME means to the members of Gibney Dance Company. Adam Barruch began his career as a young actor, on Broadway and in film and television. He later received dance training at LaGuardia High School for Music & Art and Performing Arts and The Juilliard School. He was a dancer with Sylvain Émard Danse, and The Margie Gillis Dance Foundation. Adam creates and performs work under the epithet of his own company, Anatomiae Occultii. He has created works for The Limón Company, Ailey II, Keigwin + Company, Ririe-Woodbury Dance Company, River North Dance Chicago, BalletX, Whim W’Him Seattle Contemporary Dance, Graham II, GroundWorks Dance Theater and Minnesota Dance Theatre. Shamel Pitts is a performance artist, dancer, spoken word artist, teacher, and choreographer. 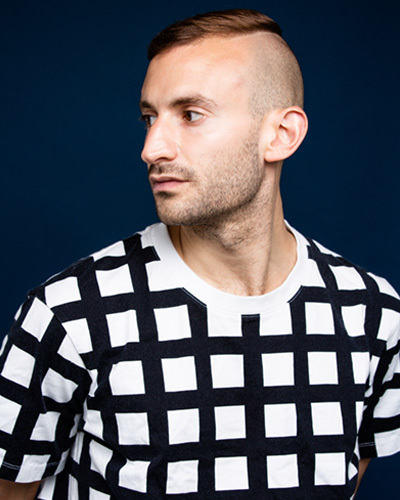 He is a recipient of a 2018 Princess Grace Award in Choreography. Born In Brooklyn NY, Shamel began his training at Fiorello H. LaGuardia High School and The Ailey School. Shamel received his BFA in dance from The Juilliard School and was awarded The Martha Hill Award for Excellence in Dance. He joined and performed with Mikhail Baryshnikov’s Hell’s Kitchen Dance, then continued to BJM_Danse Montreal. Shamel danced with Batsheva Dance Company, under the artistic direction of Ohad Naharin and is a certified Gaga teacher. Deville Cohen (b. 1977 Tel Aviv), is a visual artist and a director living and working in New York. He studied sculpture at the KHB Berlin (Germany) from 2002-2007, and received his MFA in film/video from Bard College, NY in 2010. His work was shown internationally in museums, venues, and galleries such as MoMA PS1; SFMoMA; The Deutsche Oper Berlin; The Center for Contemporary Art Tel Aviv; Disjecta, Portland OR; The Living Art Museum, Reykjavik; Abrons Art Center NYC; The Munich Biennale for New Music Theater; The Marjorie Barrick Museum, Las Vegas; Movement Research Festival, NYC; AUX Performance Space, Philadelphia, PA; Aspect Ratio Gallery, Chicago; Marlborough Chelsea Gallery, NYC; and Foxy Production gallery, NYC among others. 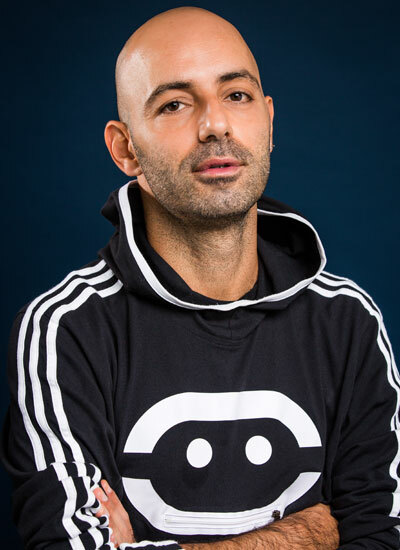 He was an artist in residence at Recess Art; EMPAC (Experimental Media and Performing Arts Center) Troy; The Wooster Group Performance Garage; Lower Manhattan Cultural Council (LMCC) workspace, Fountainhead Miami; MANA contemporary; and LMCC Process Space. Copyright Gina Gibney Dance Inc. Photos by Scott Shaw.